Fifty years after the establishment of the first College of Ethnic Studies and the longest student strike in American history, Black students at San Francisco State University find themselves once again fighting the same battle. The refusal to re-appoint the Black Unity Center’s first director, Dr. Serie McDougal, is an example of decision making absent Black student voices; it is an act of retaliation. It is a reflection of the leadership’s discomfort with assertive Black voices – be they students, faculty or staff on campus – who are willing to challenge their assumptions and point out their inequitable practices without fear of retaliation from within Student Affairs and Enrollment Management (SAEM) and the Division of Equity and Community Inclusion. The actions of Hayakawa in 1969 and Vice President Hong and Associate Vice President Perez in 2018 illustrate the constant battle against systemic injustice that Black students have continuously engaged in for over 50 years. 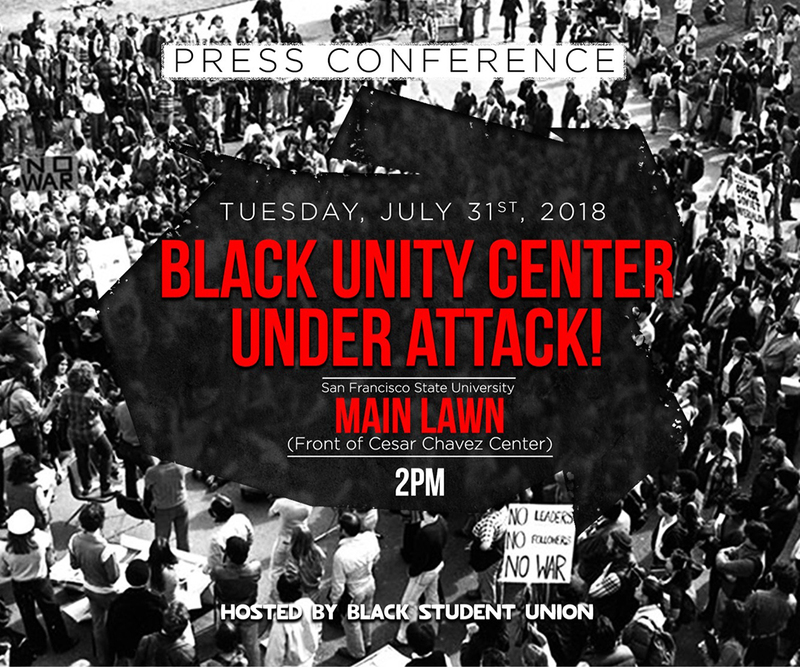 While the Black Unity Center has found great success under the leadership of Dr. McDougal and funding of the chancellor’s graduation initiative 2025, the Center’s abilities to meet and exceed the objectives of both its mission and the chancellor’s initiative has been at constant odds with SAEM. We have found the leadership of Student Affairs and the Division of Equity and Community Inclusion to be remarkably hierarchical, poorly responsive, averse to taking action informed by Black student voices, and overly concerned with selling the image of equity and inclusion over building substantive relationships with underrepresented students. Student Affairs leadership has proven itself unwilling to look at itself and be critical, instead attempting to bully Black faculty who are strong advocates for Black student voices. That’s a disturbing trend. RATIONALE: The Black Unity Center was opened in August 2017 as a resource for Black students on the San Francisco State campus. The inaugural director, Professor Serie McDougal, has made great progress in reaching out to the entire campus with programming that is open and inclusive. The Academic Senate remains concerned about the need for ongoing consultation and support of the center and its efforts. The Black Unity Center at SF State University has been an ongoing demand from SF State’s Black Student Union from 1966 through 2016. RESOLVED that SF State follow through on plans to develop similar centers focused on Latinx students, LGBTQ+ students, and Interfaith and Intercultural programs. RESOLVED that this resolution be distributed to President Wong, Provost and VP of Academic Affairs Summit, VP of Student Affairs and Enrollment Management Hong and Professor McDougal. The San Francisco State University Black Student Union can be reached at sfsubsu@gmail.com. I'm very happy our students have an active life position. edu birdy has recently posted the article about rights of Afromericans on the blog.